So after 9 days of vacation away from bicycles and the bike shop, I am ready to get back to work. Well, maybe not the bike shop; the last year and a half has been a continual failure in balancing life and bike riding against the need to get the new shop running. Burnout has been dogging my heels for months. No solution just yet, but setting that aside, I’d like to be a bit more present on Bike Hugger, sharing random musings where appropriate. And of course the Tour de France provides so many opportunities. First thought (since I’m such an incurable geek when it comes to equipment) is that this year has been thin on overhyped bike frame debuts. Specialized, Trek, Scott, and Canyon had already introduced their aero road frames last year. Cervelo’s S5, last updated for the 2015 model year, could have arguably been called yesterday’s news until Mark Cavendish (for whom that phrase might also have been applied) scored 2 wins in the opening sprint stages. Well, I might have seen something about a Pinarello release, but I find that company to be so riddled with questionable engineering claims (asymmetric fork blades to balance drivetrain loads… seriously?) that I have nothing but naked contempt for the brand. What I think is that all the big brands had planned on rolling out disc-brake premium road frames, probably working towards that goal for a year, but then the pro peloton got cold feet for disc brakes after Paris-Roubaix and the UCI back-pedaled on their “trial introduction”. The funny thing is that I have always thought that Paris-Roubaix was never going to be the best place for disc brakes. Paris-Roubaix is usually decided by small breaks or solo efforts, but only after close quarters combat on rough but flat roads. You don’t stay out of trouble by braking before it; you avoid crashes by staying ahead of them. Meanwhile enhanced tyre volume gives better control and speed over broken road surfaces, but disc brakes in themselves don’t give that. For reasons that I’ve discussed here in the past, there are may ways to achieve better tyre clearance on road bikes that don’t require disc brakes but rather more thoughtful and rational frame design. Contrary to this, many of the recent disc road frames still have relatively crappy tyre clearance, which I can only imagine stems from a narrow and perhaps outmoded perception of skinny rubber signifying speed potential. But I guess people think Paris-Roubaix makes sense for disc brakes because the roads are rough. You know, mountain bikes have disc brakes, and they go on rough stuff…so like, Paris-Roubaix would be a good place to run mountain bike tech? People even used to win P-R with suspension forks, right? With its long descents on epic mountain stages, the Tour de France was always going to offer a better demonstration of disc brake performance, but fate has conspired to deny that international media opportunity to bike manufacturers. Fate has also conspired against Nacer Bouhanni. After getting into a row with a roomful of drunken neighbors in hotel the night before the French road championships, he had to get stitches in his hand. Unfortunately, the wound got infected which required reopening the sutures for cleaning a few days later. At that point, Bouhanni’s Tour de France participation was spoiled. Now a thought about the circumstances of that night when Bouhanni went nextdoor because the rowdy drunks were keeping him up before a major event. 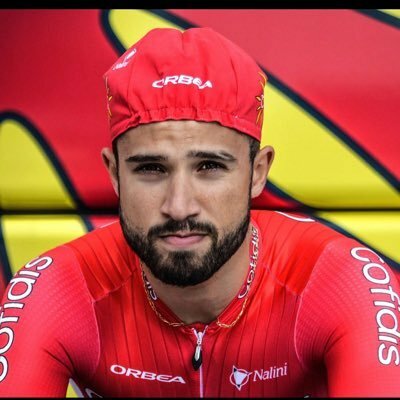 Bouhanni fancies himself a boxer, playing up the image in the media…and his interviews and public opinions certainly have a combative flavour. I am going to make a reasoned guess that the cut that Bouhanni received on his hand was from punching one or more of the drunks in the face and in turn cutting his knuckles on their teeth. This is a classic injury in street fights. Why do I mention this? Because this ties into a grating bit of folklore that I sometimes hear people say. Namely, that dogs mouths are cleaner than humans. This is false. This pseudo fact arose because in the US, injuries due to contact with teeth had historically not been differentiated between bites (human or canine) and cuts on a fist from hitting someone in the mouth. The depth and severity of the hand injuries from fights are often worse because of the force applied in a punch is more than what most dogs can apply in a bite. On average compared to dog bites, these human “bites” appear to have more infections and complications later on, and due to weakness in data analysis, this was somehow construed to mean that dogs have cleaner mouths than humans. That’s ridiculous. Dog saliva is not harvested for some wondrous antiseptic property. Furthermore, realize that dogs can’t use toilet paper; they have tongues. Go ahead and connect the dots on your own.